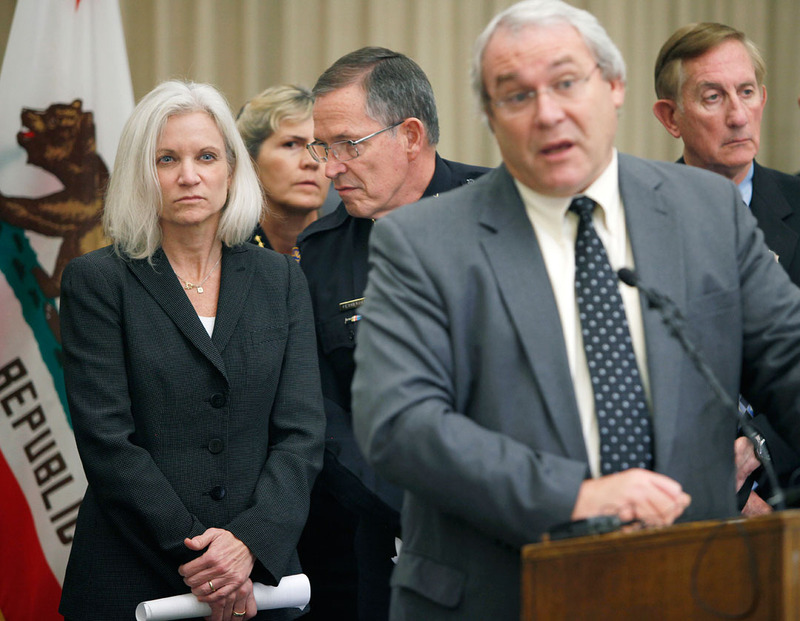 US Attorney Melinda Haag, on the right, listens to Salinas police chief Louis Fetherolf whisper details about a recent operation seizing nine military-style assault rifles in Salinas during a press conference December 25 at City Hall. The operation was spearheaded by the Bureau of Alcohol, Tobacco, Firearms and Explosives and incorporated over 70 federal, state and local law enforcement officers. Because of the large gang presence in the Salinas Valley, joint operations between agencies are common.